The song is the latest single from the band’s critically acclaimed record, Everything In Between. Pitchfork has heralded the release as a “seriously compelling record” and the single as “coiled and intense but also easy and natural,” giving the album an almost perfect review!SPIN has named the record one of their “Best Albums of 2010” and gave No Age an outstanding review, claiming “they turn the slash-and-thud punk template into a space of possibility — not just for music, exactly, but music for dreaming.” It’s also easy to see how this unique masterpiece free-floats into the mainstream with Rolling Stoneenergized about Everything In Between as well. 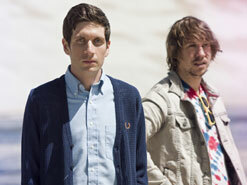 The famed UK music magazine Mojo named No Age one of the top ten best new acts. It’s also important to note that the group’s previous release, Nouns, was nominated for a Grammy. “Fever Dreaming” features the band at their raucous and cathartic finest, driving through a kinetic lo fi art punk soundscape. Singer Dean Spunt delivers his message with undoubtedly pronounced urgency. The track is a collision of melody and notes with massive explosions of noise and cacophony, resulting in something that is gripping with tension and pleasing at the same time. This theme continues to extend directly into the duo’s video concept, which places them into a room that is literally closing in on them throughout the song. The mysterious force that compresses the room becomes more violent as the song progresses, eventually ripping everything apart completely. Without ruining the explosive surprise, things do not end well for the band, and will certainly incite a major reaction from any viewer. To top it all off, the entire video is shot in one cut! No Age have been tearing up the nation and the lands overseas with their massively busy touring schedule, which includes dates supporting Cold War Kids, Deerhunter, and Pavement. As the duo continues to rock across the world, be sure to reach out to us for any interview and performance opportunities. 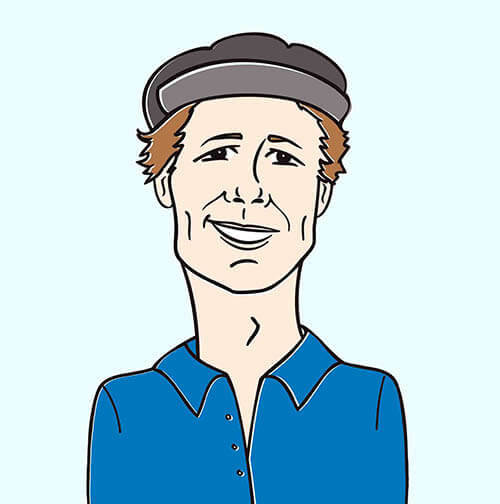 In addition to all the on-the-road action, No Age has also recently appeared on The Late Show with David Letterman in promotion and performance of this single. We urge you to find a place for No Age’s “Fever Dreaming” amongst your fantastic programming lineup to help solidify the band’s place as the true art punk select few. We’ve got plenty of copies Everything In Between for contests and giveaways, so make sure to let us know and we will hook you up. If you need more info, call Andy Gesner at 732-613-1779 or e-mail us atHIPVideo@aol.com. You can also visit www.NoAgeLA.blogspot.com, and www.SubPop.com.